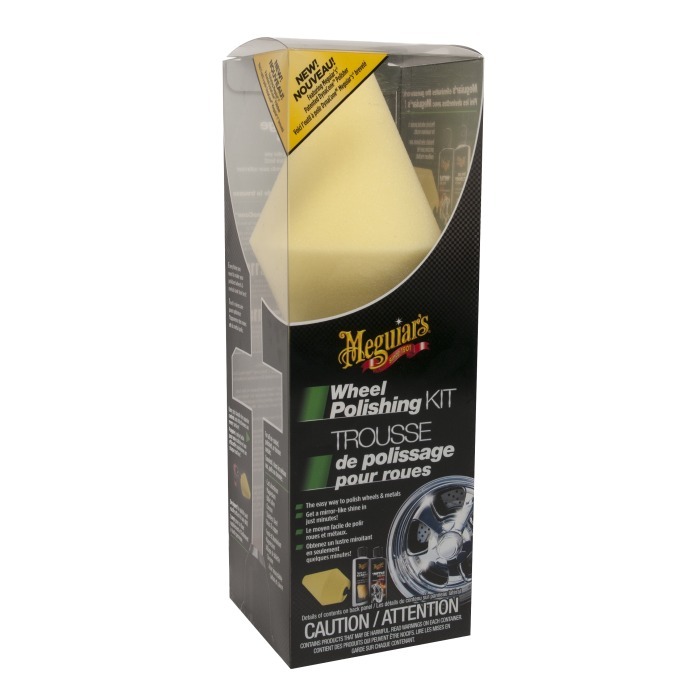 The Wheel Polishing Kit by Meguiar's uses the new, exclusive DynaCone tool to quickly and conveniently provide intense gloss. The design to the exclusive DynaCone Polisher adapts to any wheel or gap type with no foam damages or deformation, for increased durability. A rotary Tool which easily polishes any wheel, DynaCone is easy to use on a driller for easy control along wheel polishing. It contains a compound which easily cleans DynaCone residues after polishing wheels; includes Hot Rims Wheel Polish to polish up to 16 wheels; Polish suitable for all metals. This Kit comprises: 1 DynaCone for wheel polishing, 1 Hot Rims Wheel Polish (118ml), and 1 DynaCone cleaning compound (118ml).